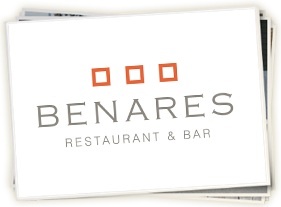 As a post Christmas treat I booked a table at Benares- Atul Kochhar’s michelin starred restaurant in Mayfair. What a treat!!! The restaurant is really gorgeous- the decor beautiful, service impeccable and the food truly delicious. I would definitely say this was one of the best meals I have ever had. 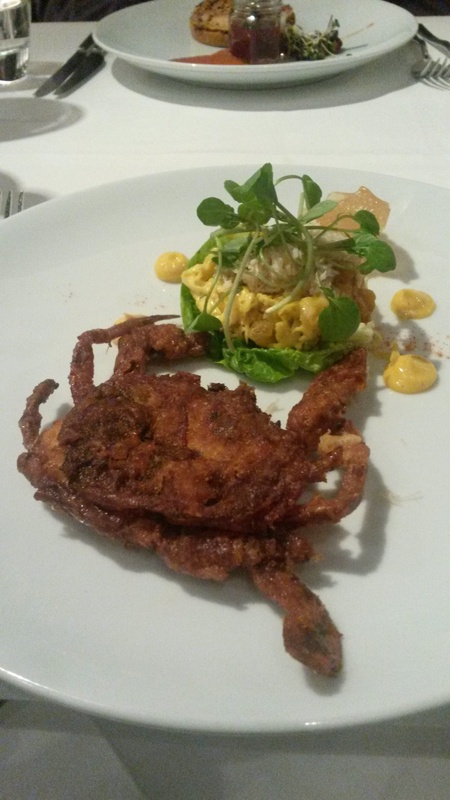 For starters I had soft shelled crab with white crabmeat and coronation slaw. I had never had this kind of crab before (maybe a little squeamish?!?) but it was crisp, full of flavour, and utterly lovely. 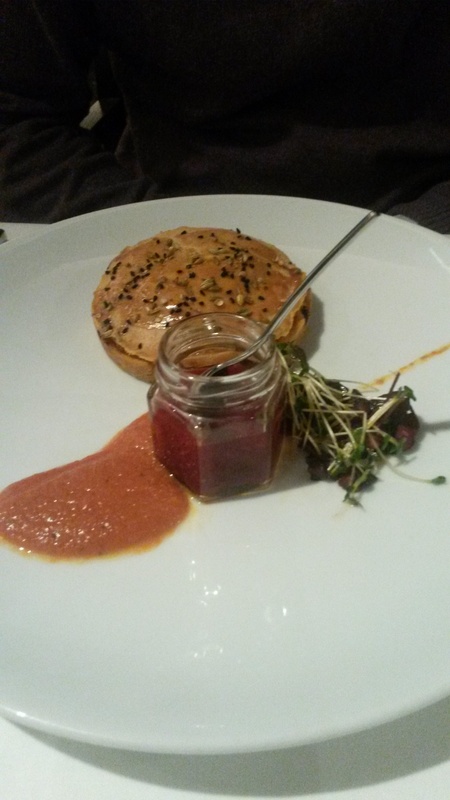 Colin had a little chicken tikka pie- fragrant and spicy, with a tomatoey sauce on the side. My main course was superb! 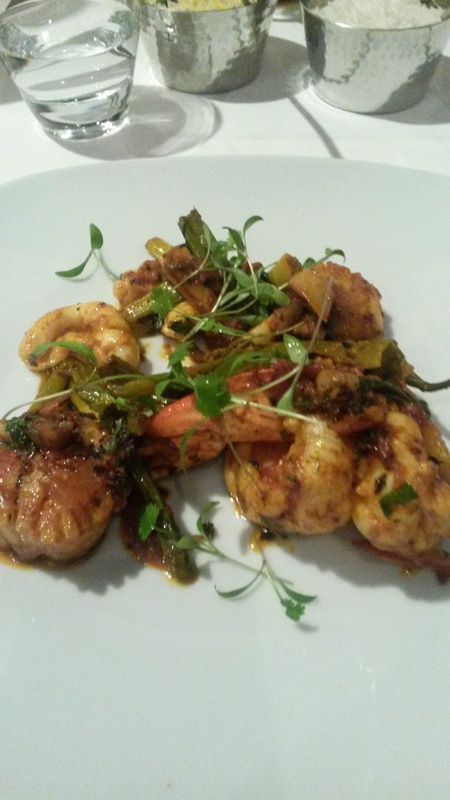 Prawns, squid and razor clams with tomatoes, spices and baby leeks. 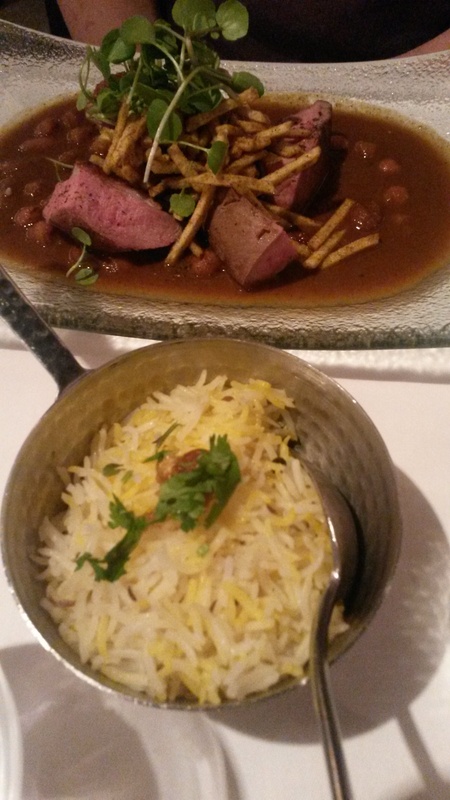 Colin’s looked and smelled amazing- duck with a 3 bean vindaloo and spicy matchstick potatoes. 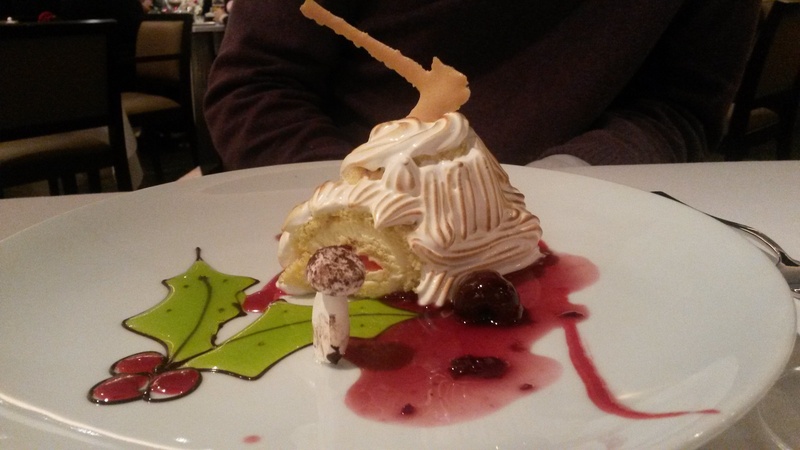 And, wow, dessert was a showstopper…. 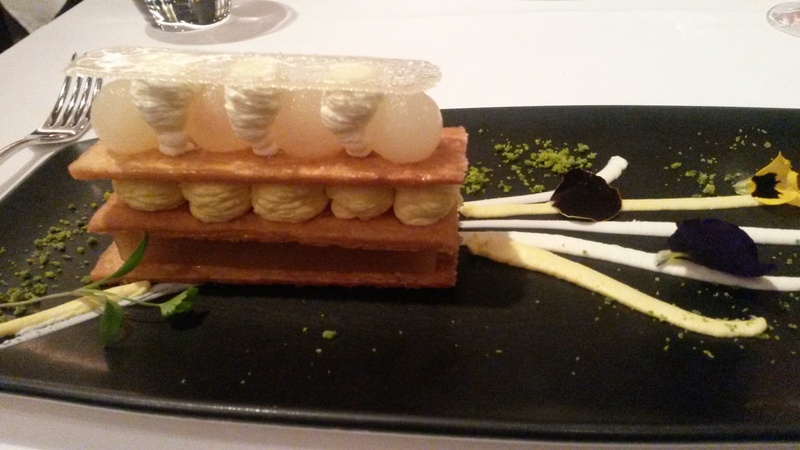 My dessert was a pear and quince millefeuille, crisp and fragrant with the quince. Colins was a yulelog, but I have never seen a yulelog like that before!!! With a great bottle of Portuguese wine to wash it all down I can honestly say this was a thoroughly lovely experience. And after a very tiring few weeks this was definitely what the doctor ordered. Now, what to make for New Year?? ?